Authors of the anthology Parenting As Adoptees gathered together and read and discussed their respective chapters: Shannon Gibney, Hei Kyong Kim, JaeRan Kim, Mary Mason, and Sandy White Hawk, with welcome and closing statements by Adam Chau and Kevin Vollmers. 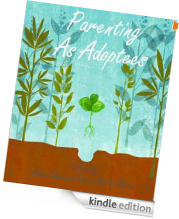 Many adopted Koreans contributed to this new book: Parenting as Adoptees. Check it out!